The Prosecutor General’s Office has ended the case launched against and official of the Office of Citizenship and Migration Affairs, who was allegedly involved in organization of fictive marriages, as reported by LNT News on Tuesday, 10 July. Prosecutor General Office’s press-secretary Aiga Eiduka told LNT News that the prosecutor made a decision on 28 June to cease the process launched against a specific OCMA official. The reason given is that no signs of a crime were found. At the same time, she adds that the prosecutor’s office has decided to commence criminal prosecution of two other people involved in the case. «One person is accused of illegally providing third country citizens with residence permits to stay in Latvia. The other person is accused of supporting those actions,» said Eiduka. According to LNT News, it is suspected that one of the customer service specialists may have performed illegal activities at OCMA at the beginning of last year, which is something that was reported to Internal Security Bureau. The OCMA official was detained and put in a detention facility last summer. The customer service specialist was applied with a number of security measures, including the prohibition to take post. OCMA public relations specialist Ģirts Pommers says the Internal Security Bureau recommended suspending the detained official. «After suspension, the employee decided to terminate employment contract with OCMA,» said Pommers. «We’ve had five such precedents in the past ten years. None of them had resulted in actual litigation, according to our information,» said OCME representative. Internal Security Bureau has yet to comment on the prosecution office’s decision. BNN had previously reported that Internal Security Bureau has asked the prosecutor’s office to commence criminal prosecution of an official of Office of Citizenship and Migration Affairs for organizing a fictive marriage. In August 2017, Internal Security Bureau detained three people who worked in an organized group and created conditions, including fictive marriages, to provide foreigners with a legal way to acquire residence permits in Latvia. Each member of the criminal group had a specific role – one person acted as ‘wife’, another person organized fictive marriage, and the third person, who was an official of OCMA, performed the necessary actions to provide foreigners with a legal way to stay in Latvia. Marriage is one of the legal ways a non-resident can acquire a residence permit in Latvia. 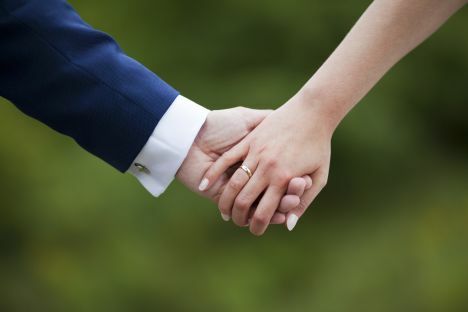 The pay for ‘marriage services’ reached several thousand euros, according to ISB.